It's Friday and we're confessing on this blog! Let's just jump right in. 1) I confess that American Horror Story with this whole clown plot line is almost too much for me to handle. Stephen was traveling for work this week, so he was gone Wednesday night. Like an idiot, I opted to watch it anyway. I just can't NOT watch AHS when a new episode debuts. Big mistake. Shows featuring demented clowns should never, ever be watched alone. I don't think I slept a wink that night. Thank the Lord he is back now and I can resume getting some shut-eye. 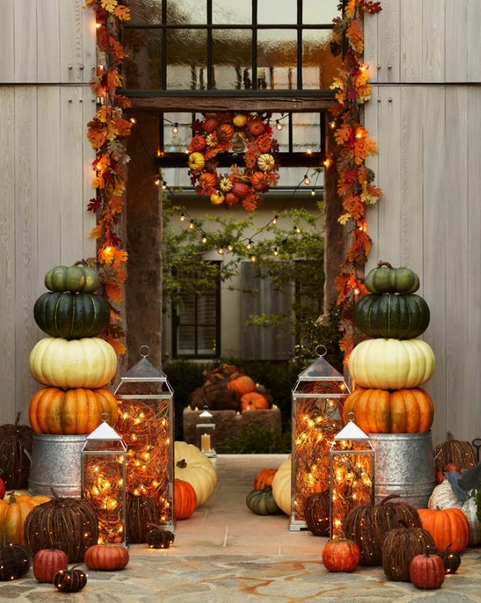 2) I confess that I'm going to give these pumpkin topiaries a try this weekend. I wanted to do something pretty for our porch this year - something that could stay up well past Halloween. I think these fit the bill. I purchased some plastic garden urns from Amazon and bought some foam pumpkins at Hob Lobb. IF, (and that's a gigantic "if"), they turn out decently, I'll post a step-by-step on here. Wish me luck! 3) I confess that our city just got a new DSW shoe store and it's taking everything in my power not to hop in my car and go over there. I've already purchased some new shoes for fall/winter, so I'm definitely not in need of anything...but man, y'all, it's hard to resist. 4) I confess that I'm pretty much addicted to Guilty by Gucci, this fall. I bought the travel size vial at Sephora, just to see if I liked it well enough to invest in the larger. I do. I really, really do. I wish I had discovered it ages ago, but I'm glad I have it now. I love playing with new fragrances each season, and this one may be the best cold-weather scent I've smelled to-date. 5) I confess that my mom and I are toying with a small business idea - and it's exciting! Naturally, I don't have enough on my plate already, but it's too good to pass up. Hopefully more on this very soon. Don't you love a vague confession? Ha! Well, friends, what have you got for me? I enjoy Guilty by Gucci, too! I love finding new scents for different seasons! Good luck with the pumpkins!!! My husband works late a lot. I have to avoid scary shows and movies completely or stay up all night with every light blazing! I'm such a scaredy cat, and give you major props for watching AHS. It looks terrifying! Oh my gosh! I love those topiaries. I wish I had the crafting ability to make those - they are so so so cute! Unfortunately I have a hard time even staying in the lines when coloring (not ashamed) so I'm too terrified to even try. I'm also very very addicted to fall shoes..I don't NEED anymore..but man, I want them! Can't wait to hear about the business adventure!!! DSW is my go-to place for shoes. They always have the best stuff. 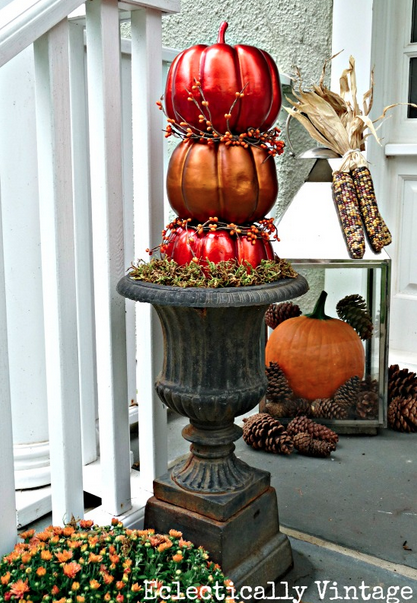 Oh, that fall decor is swoon-worthy!